Poodleism: Hi, I’m a big deal. Hi, I’m a big deal. 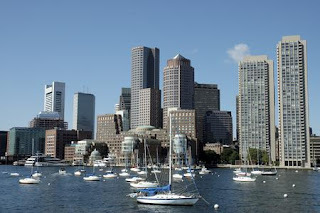 So I just returned from an actual business trip and am confused about when I became this jet-setting person (Miami to Dallas to Boston to Dallas in 5 days), but I think I like it. My boss invited me to Boston to present our company to a prospective client. We went up there the day before the meeting so to be fresh and rejuvenated fro the meeting. We flew 1st class, which was a cornucopia of awesome-ness in itself, but there really isn’t much more awkward than traveling alone with a 60 year old married man who is also your boss. Trust me, it’s the ultimate recipe for being ill at ease. All the discomfort aside, I think I did really awesome in our presentation and he finally maybe thought that I’m not some young idiot with heartthrobs (Hello, Edward) splattered all over my cubicle. I’m really proud of my little professional stride, and hopefully it will translate into a bonus. I loved feeling like a smart, professional, large-and-in-charge lady on the go (Playing in my head all day long: ♫“I’m every woman, its all in MEEEEEEEEE” ♪). When I got back home to my apartment at the end of the day, I looked down at myself in a full business suit, with my rollerbag and laptop case, and wondered “Who am I” (cue Zoolander puddle reflection moment). 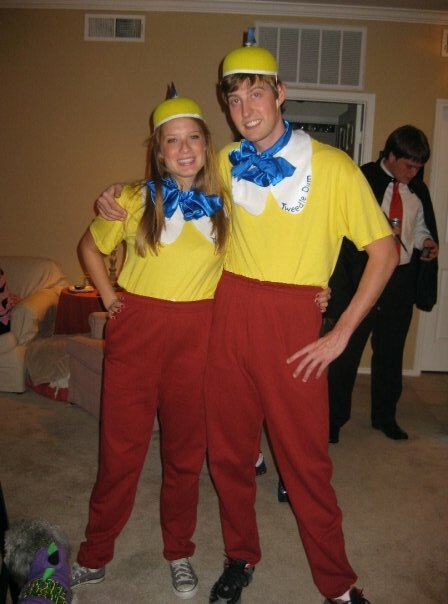 I find it infinitely humorous that I was more comfortable in my Tweedle Dee costume than in my adult costume. A good pal at work told me to “Fake it ‘til I make it,” which is pretty good advice. I guess I’m still faking it, but maybe not. As a side note, I'm one lucky little ducky. Manfriend was so proud he greeted me with flowers and wine. Maybe he was rewarding me for finally growing up a little....Either way, it was mega sweet. I look forward to the next trip, but I’m not ready to give up Edward in my cubicle. So take that!!! My official thoughts on New Moon. Grumpy today. But, its ok.